There’s nothing quite like an ice-cold freezie on a blaringly hot summer’s day. With Tubify, now you can enjoy the delicious refreshing dessert and the satisfaction of knowing your icy treat is ripe with nutrients and health benefits. Tubify, which was launched in May 2015, has taken the traditional freezie and transformed it into a healthy, nutritious snack. Creators of Tubify, Casey Wong and Emily Fan, decided to venture into the world of freezies because they viewed dessert as a great entry point to help kids and parents make healthy food choices. Because both individuals saw health and food as a way to extend lifespans and prevent disease and health problems, they joined forces and created Tubify—a one of a kind freezie. In order to gain customer feedback, creators of Tubify created over 16 recipes and tested them in farmer’s markets. They spent two summers talking to the public about delicious freezie recipes that also happen to be healthy. Their commitment to healthy living combined with the involvement of their consumers demonstrate their inclusive, wide-reaching approach to food. It’s not just about freezies, it’s about spreading wellness across communities! The entire Tubify philosophy maintains that enjoying delicious treats should not come at a health cost; it should be entirely possible to consume great tasting dessert while also reaping health benefits. Tubify, which is their first product, is made with 100% fruit ingredients and a base of coconut milk. It is gluten-free, vegan, all-organic, and naturally-sourced. Consumers can rest assured knowing their freezie not only tastes delicious but was created by individuals who view nutritious eating as an imperative step to achieving lifelong health. 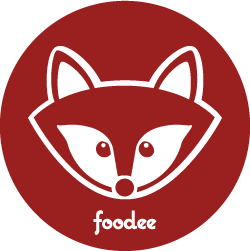 Tubify can be purchased online, including through Foodee. Additionally, the freezie product can be found in grocery stores across Canada. The Raspberry Raven Lemonade flavor, which is described as “not too tart, not too sweet” is the perfect way to cool down on a summer day. Made with organic raspberries, organic lemon juice, organic evaporated cane juice, and filtered water, this treat is equally yummy and nutritious. The Coconut Koala Café Latte is the perfect freezie for those who want a break from fruity flavors—made with Fairtrade and organic Salt Spring coffee, this delightful freezie is a perfect caffeine boost. People choose Tubify for the great taste and health benefits. With owners who have a proven commitment to creating products that add to overall health, Tubify consumers are in good hands. Each freezie is a flavorful delight – see for yourself and order Tubify today!